William says: "I photographed a photo that Molly Gerrie in Banchory has. 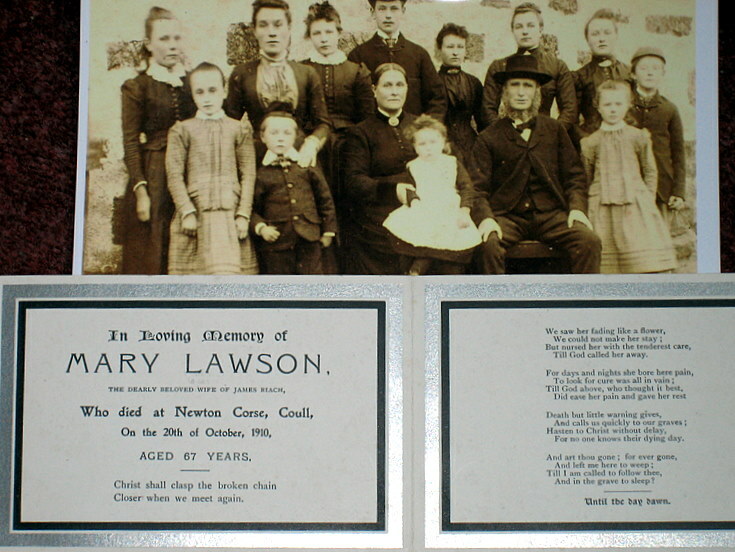 She is a descendant from Mary Lawson who is in a branch of my family tree. Molly Gerrie is in her eighties and her husband Charlie was a blacksmith as was my GG grandfather Andrew Lawson. See also photograph 934.